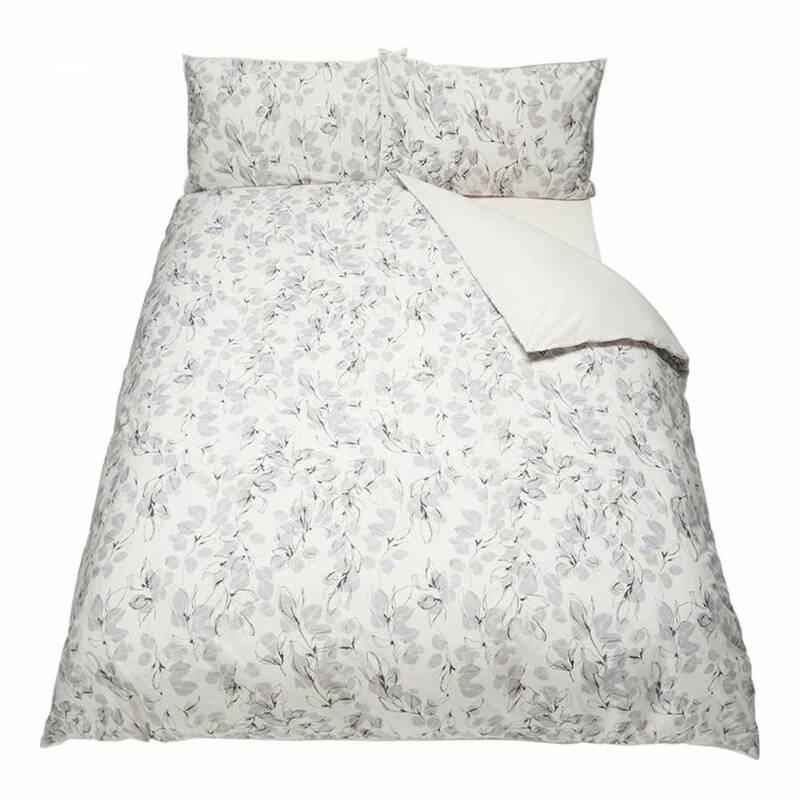 This grey toned duvet cover features an artistic leaf print and a plain contrast reverse. 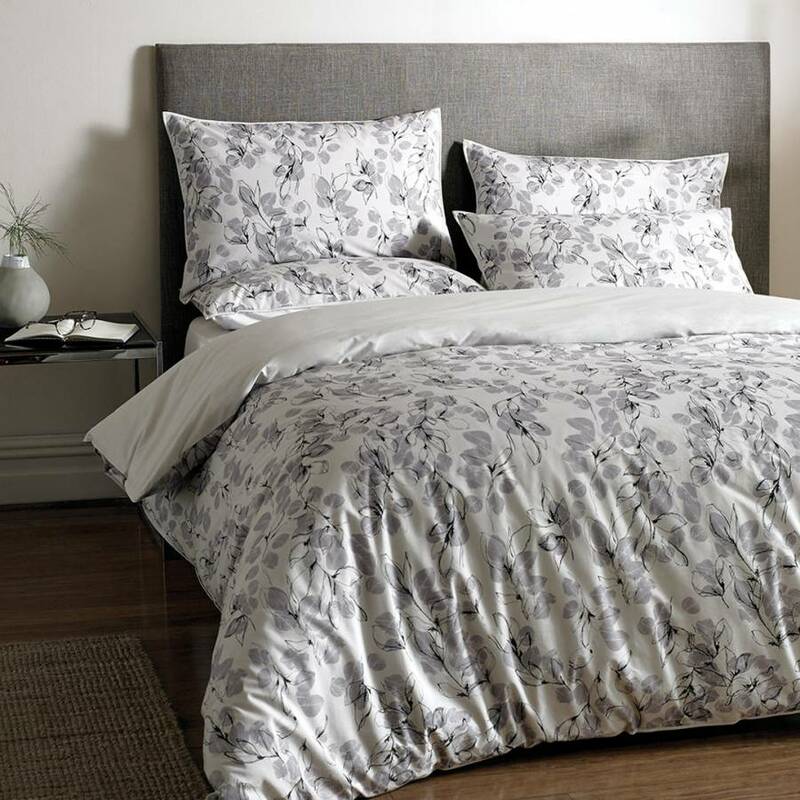 Made from 200 thread count 100% cotton, it is super soft and finished with stylish mother of pearl buttons. 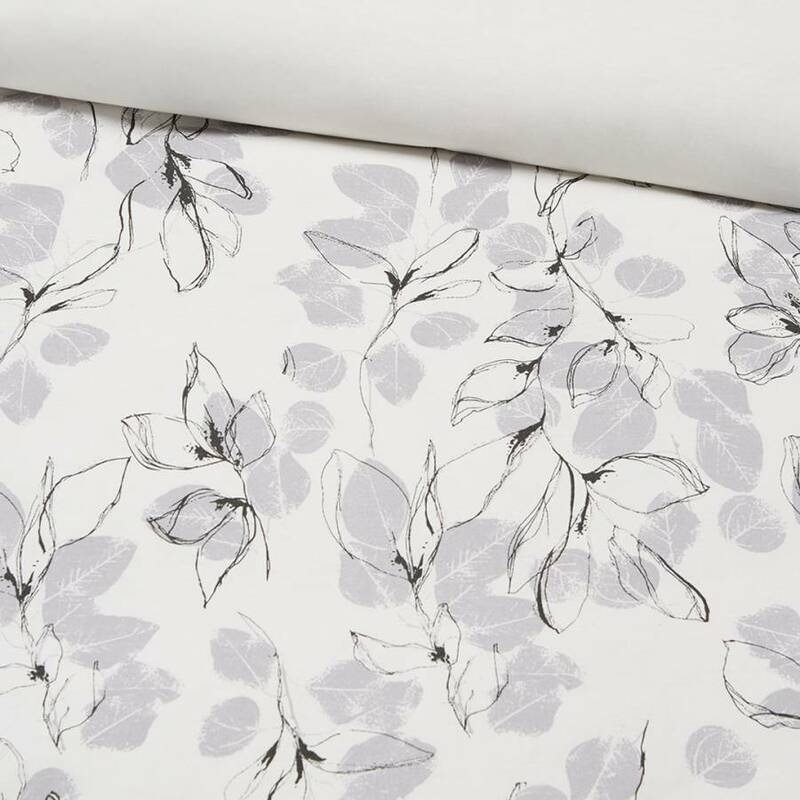 Match with the Linear Leaf pillowcase to dress your bed in luxury.